When was the last time you took a vacation? Most of us think that traveling is impossible when living on a tight budget and trying to save money. Well, I’m here to tell you… you’re wrong! 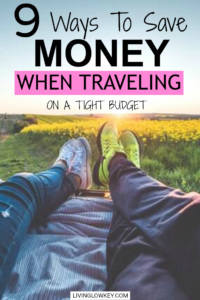 I’m going to share with you our secrets to traveling on a tight budget. These travel tips will save you a ton of money. This is how we are able to pay cash for our yearly jaunts, mostly to the Caribbean, because who doesn’t love dipping their toes in the ocean. Yes… We have a savings account just for the vacations we take! Most banks don’t charge you to open multiple savings accounts. Some banks even pay you to open a savings account at their bank, so take advantage of this. You don’t have to add much each month for this technique to pay off. By planning ahead we strive to have enough money in our savings for one big trip each year and two smaller trips “closer to home” in the summer. Find the best deals on your hotel/hostel/condo – or try out Airbnb. 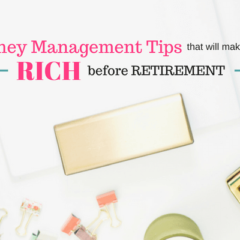 Saving money each month will enable you to have the cash in hand before you even plan your next trip. Your goal should be to have at least enough money set aside for the cost of your plane tickets if not more… Depending on your budget of course. Once your vacation is set in stone your goal is then to pay off the rest of your vacation, before it gets here. Who doesn’t love traveling when you know your trip is already paid for! Our goal is to always have the cash in hand before we spend it… so we always strive to have enough cash for the entire trip before we even book our tickets. Traveling is very important to us so we make sure to budget for it. This is easily one of our favorite travel tips. 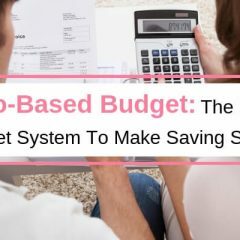 If you don’t currently budget your money each month you should! 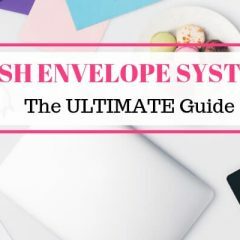 Check out how to budget your money with our Cash Envelope System here. This is our key to having that extra cash on hand for our next vacation. How did we find the funds to go anyway? We hustled and cut down our expenses severely for a few short months and let me tell you, the outcome was totally worth it! If you ‘re looking for ideas to make extra money, here are our favorite ways to Make Money This Week. If you are looking for a step-by-step guide to figuring out your expenses you can check that out here. By figuring out your expenses you’ll be able to figure out where you have room to save for that vacation of a lifetime. Cut out cable for good! 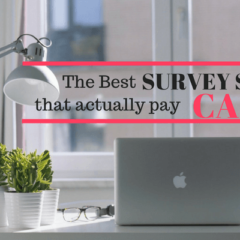 This is one of the easiest ways to save money each month but it can be a hard transition for some. There are many great options that still allow you to watch your favorite T.V. shows. Our favorite is Hulu. We pay $8 dollars a month to watch our favorite T.V. shows. Start your 30 day free trial here. Shop at a discount grocery store. We love Aldi and I save a ton of money by shopping there. Sure I miss shopping at more luxurious grocery stores but I’d rather be SAVING MONEY and using it to travel. Always shop with a website like Ebates when you are doing your shopping online. They give you cash back when you shop your favorite stores such as Target, Kohls, Amazon, Walmart, Nike and many more. When you sign up with our link you get a free $10 welcome bonus when you spend $25 or more! So sign up today to start making money when you spend money. 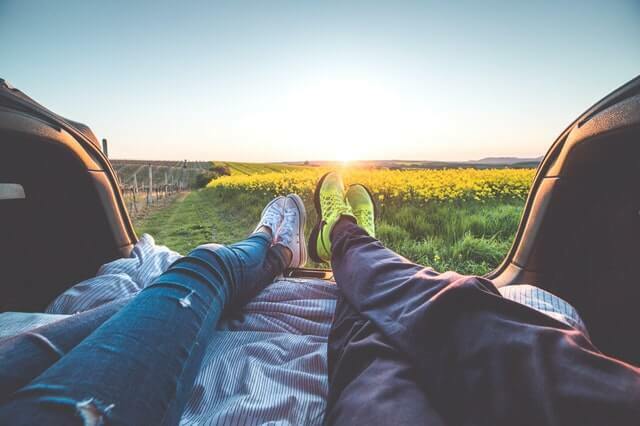 Driving – Depending on your vacation destination, driving might save you a lot more money than flying, especially if you have multiple people going with you. Let’s face it flights are expensive! Gas is cheaper during the winter months. Do some calculations based on how many people are going and the price of flights. Driving might be the way to go and who doesn’t love a road trip!! Flying – Did you know that there are certain days during the week where flying is less expensive than others? If you fly on a Tuesday or Wednesday it’s usually substantially cheaper than flying on any other day of the week. This is just due to the lack of demand. Most people don’t fly on those days making them cheaper days to fly. Plus, who doesn’t love an empty airport? If you are going on a week-long vacation try leaving on a Tuesday and coming back on a Tuesday. If you are going for a shorter period try leaving on a Tuesday and coming back on Saturday instead of Sunday. Not only will your plane ticket be cheaper but avoiding the hustle and bustle of a busy airport is always nice. Make sure to do your research on different prices for different airlines. Orbitz and CheapOair are by far my favorite sites to use to search for cheap flights. I love them because they check all of the airlines to find the cheapest flights for you. How easy is that! This takes all the hard work out of finding the right flight and the cheapest flight! Where is the most affordable yet enjoyable place to stay while vacationing? That can be a hard one to answer and it varies from person to person. Hotel– Most people choose to stay in hotels because they are more popular however, they can be very pricey. When searching for the most affordable hotel we use Travelocity. Their website is super easy to use and it’s such a quick process. They haven’t failed us yet at finding good deals. Villa’s– This is a good route to take if you have a group of people going. When we vacation with family or friends we always rent villas. We are able to cut down on the price of food by cooking our own. The price of the villa divided by a few people is usually cheaper than staying at a hotel. Airbnb– This has become a rather popular choice for accommodations and our favorite way to travel! Not only that, but you can find better prices than you could stay anywhere else. Instead of listening to me rant about how much I love Airbnb check them out here and experience it for yourself. Here is $40 in travel credit for your first stay! Rental Condo/Home – Staying in a rental has always been a pleasurable experience for us. This is a good option when you are vacationing in a metro area where hotels can be very expensive. Or when you are looking to stay somewhere more isolated that doesn’t have a hotel available. HomeAway is a great site to use when searching for a condo to stay in and I highly recommend checking them out. Unless you are traveling in large groups where you can split the cost of hotel and other necessities along the way, I recommend NEVER traveling during the holidays. Let me rephrase that, I NEVER travel during holidays, even in groups. Flights are outrageous during the holiday seasons. It doesn’t matter how far ahead you book your flight, it’s not going to be budget friendly. Also, any type of lodging is going to be double the cost of what it normally is. Try going a month before or after any holiday and I promise you’ll spend a lot less which will save you money to do other fun things. This is one of the most overlooked travel tips but did you know everywhere in the Caribbean has two different seasons, off-season and peak season. Peak season isn’t only unaffordable but hotels are packed and flight prices are ridiculously expensive! Not to mention that the temperature is only a few degrees warmer than it is in the off-season. Peak season usually starts the first week of December and ends shortly after Spring Break. Traveling during this season usually costs double the price than if you were traveling during the off-season. If you want to take a nice Caribbean getaway during the winter, I highly recommend doing so the last week of November or the first week of December. You’ll thank me for this! Does anyone ever feel like they just eat and eat on vacation? Sometimes I feel like we just bounce from one restaurant/bar to the next. Although it’s fun and it’s nice to experience the island’s cuisine, it’s not needed for every meal. Pick which days you want to eat out and then buy food at a local grocery store for the other meals. Doing some cooking in your kitchenette in your hotel will save you a lot of money. Another way to save is to buy your own liquor at a liquor store instead of drinking at a local bar every night. It will save you a ton of money on vacation. Island drinks are expensive! They charge anywhere from $6 to $9 per drink. Try out a local drink and get the recipe from the bartender then head to the liquor store and make your own island drinks all week-long, for a fraction of the price. When we go anywhere in the Caribbean we spend a majority of our time in the water snorkeling. You can usually rent snorkeling gear for cheap for the week or bring a set from home if you have them. It can also be really fun walking around town exploring a new place and taking in its culture. Also, hiking or taking in popular unforgettable sites is always very memorable. One of the best travel tips we can give you is to strike up conversations with the locals. They’ll help you find all the hidden gems your vacation destination has to offer. Taking a nice vacation is something that we think everyone should do from time to time. If you work your travels into the budget, your next vacation doesn’t have to break the bank. Try some of the tips above and maybe the next time we are on vacation we will see you there!! Do you have any tips for traveling on a tight budget that we forgot to mention? Good ideas. Under accommodations: although there aren’t as many in the U.S., hostles are a cheap option if there are any in the area. My family always goes camping because it is so much cheaper than a hotel. We also like to split an Air bnb with another family and vacation with friends (bonus, you can also split the gas money too). If your lucky enough to have an RV, you can even find places to camp for free (in a pinch, even a Walmart parking lot for the night). There are also websites that offer free lodging in exchange for work. And finally, if you’re brave enough, you can try couch surfing, also free. Flying on a tuesday or wednesday is a great tip. And if you take the first flight that morning, delays are usually less. The later it gets the more stuff can happen. Plus don’t always go for the quick connection….Anything that can go wrong will go wrong. I give myself a MINIMUM of 1 HR between connections. I rather wait in the airport or waiting for take off ( which is usually the case when flying into an airlines hub) instead of missing my connection. These are great tips thank you!! My clients and I are ALWAYS looking for ways to save money on travel! I’ll share this on my biz FB page. I love the idea of a separate savings account for vacations! 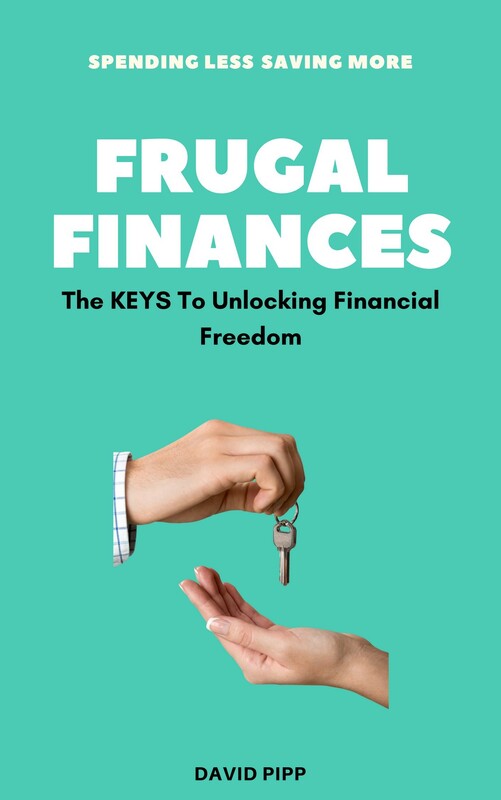 I know we overspend when we go on vacation so having a set amount in an account would make it easier to spend less and stick to a vacation budget. Thanks for the tips! Hi Kim, I’m glad you loved the tips. We have been using these tips as we prepare for our vacation to Belize! 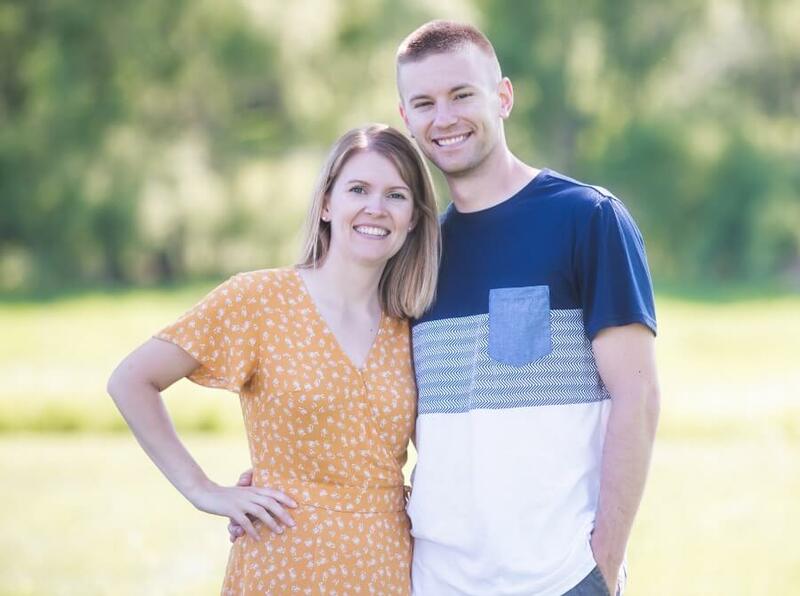 They have worked for us over the years so we wanted to make sure we share our secrets!